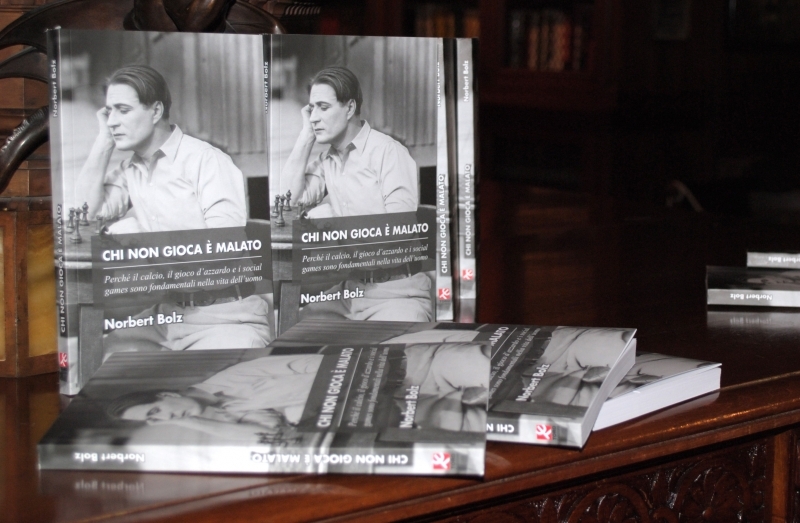 BOLZANO, 18 September NOVOMATIC and TORO EDIZIONI presented this morning in Bolzano at the Hotel Laurin the book " WHO DOES NOT PLAY IS SICK - CHI NON GIOCA E' MALATO". The text by Prof. Norbert Bolz, who came to Bolzano for the occasion, proposes for the first time ever a sociological, philosophical and mass-media path on gambling. The aim, underlined in the book subtitle, is to demonstrate why football, gambling and social games are fundamental in human life. "I read Prof. Bolz book in one of my trips from Vienna to Italy - explains Ing. Franco Rota, NOVOMATIC Italia Chairman - And I was struck by the starting point, at the opposite respect to the public debate on gaming in our country. A volume able to summarize a series of aspects that in recent years of "caccia all’azzardo – gambling hunt" are too often forgotten. I am referring to the individual educational value in learning; the importance of evolution and the choice of gambling with cash prizes as controlled and legal entertainment, without neglecting the important economic and industrial implications". "We chose to translate the book because we immediately thought it would bring an important cultural contribution to the public debate on gambling in our country - explains the publisher, Gianfranco Allocca. As a publishing house of the oldest and most widespread betting newspapers, we believe that the demonization of the sector is already fuelling critical issues, which do not solve the excesses of dependence, and enhance those of the sector".